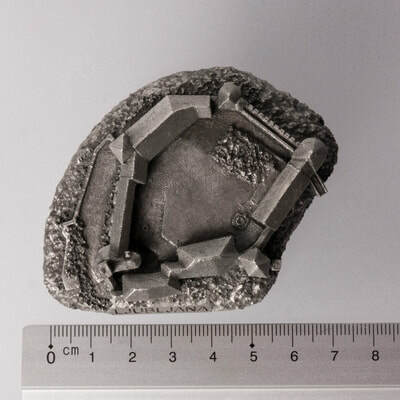 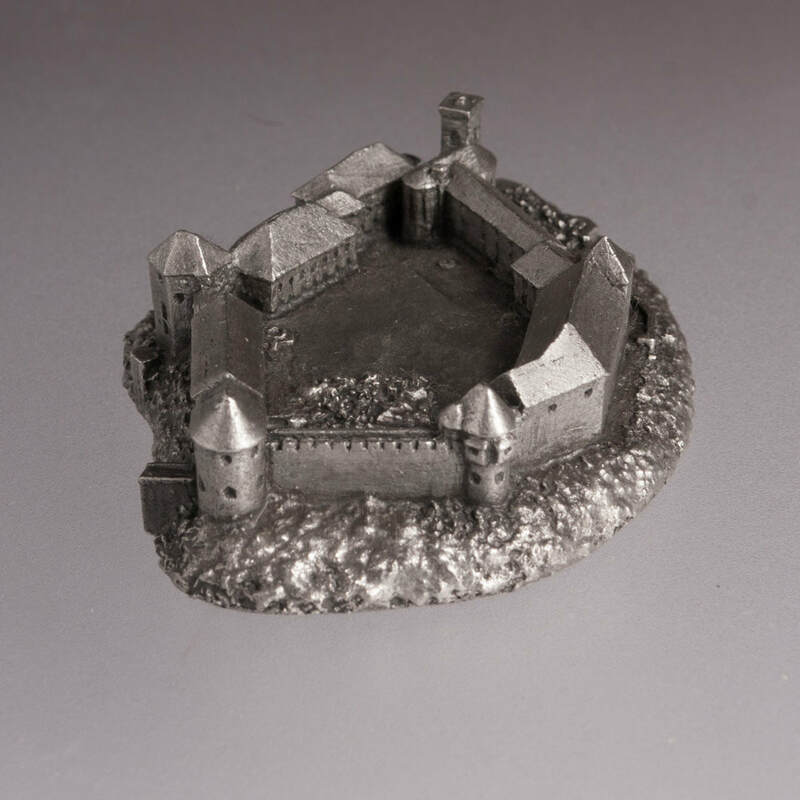 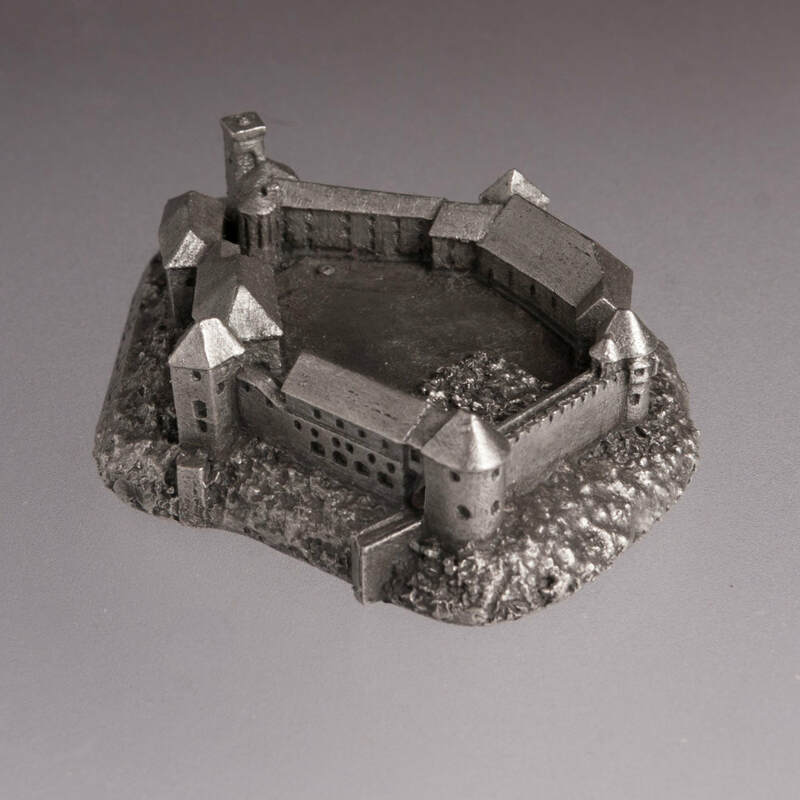 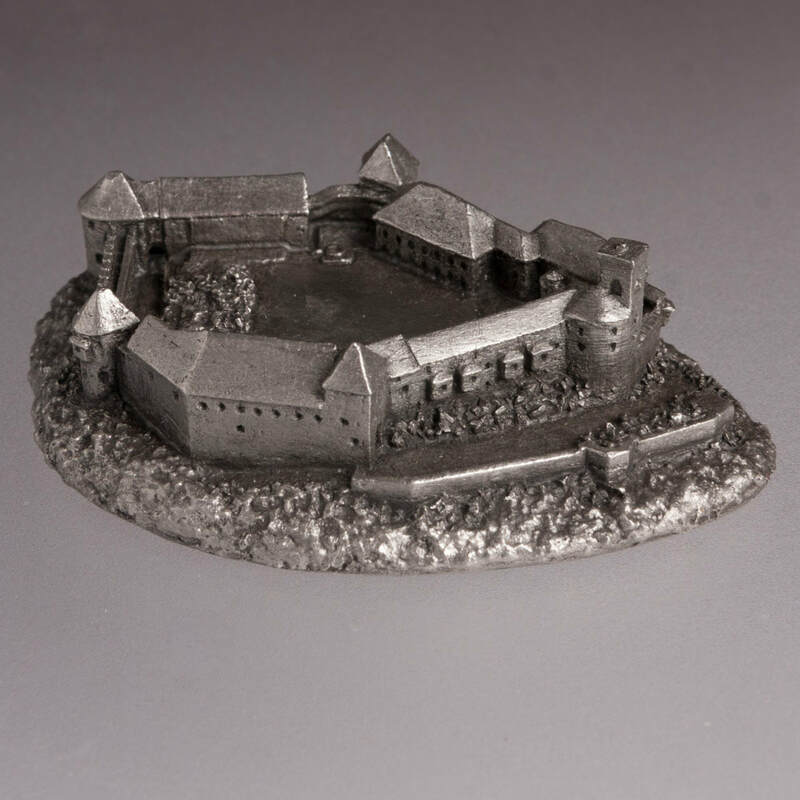 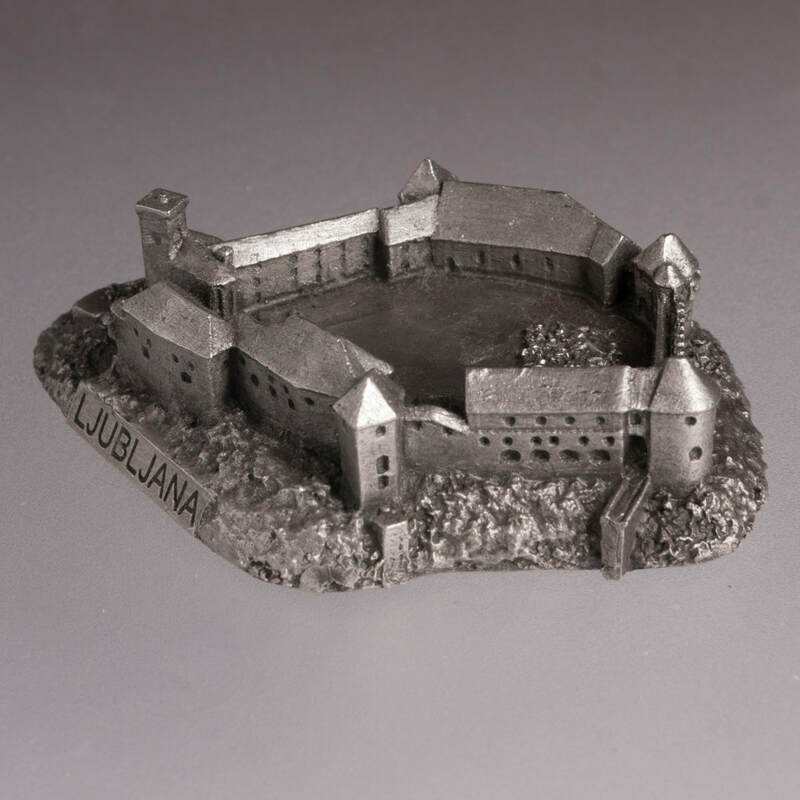 This model of the famous Slovenian castle Ljubljana is the first piece in new Archiminima series of 1:2000 scale architectural landmark replicas, made of lead free pewter and toned in the shade of old silver. 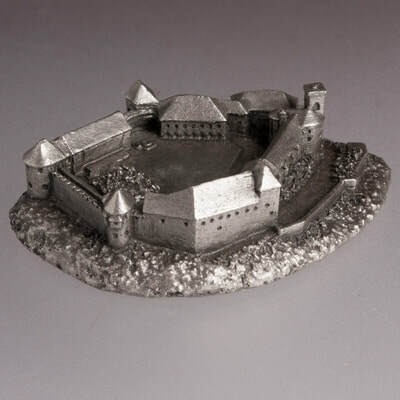 The Ljubljana castle was built on the top of a high hill above the Ljubljanica River and the city of Ljubljana in the beginning of the 11th century in place of a former Roman stronghold. In the 14th century the rulers of Duchy of Carniola came to possess the castle. Dominating Slovenian capital skyline, the castle took its present shape in the 14–17th centuries, but the clock tower was built only in the middle of the 19th century. 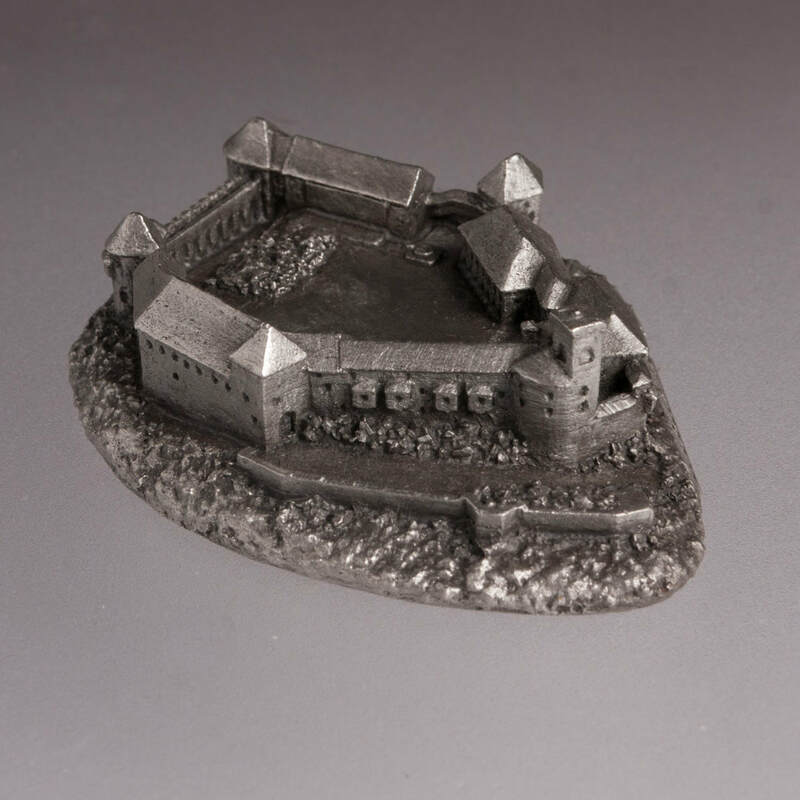 Now the castle hosts the permanent exposition dedicated to Slovenian history. This replica will make a perfect gift, home decoration miniature, historical architecture souvenir or a 1:2000 scale collectible item.